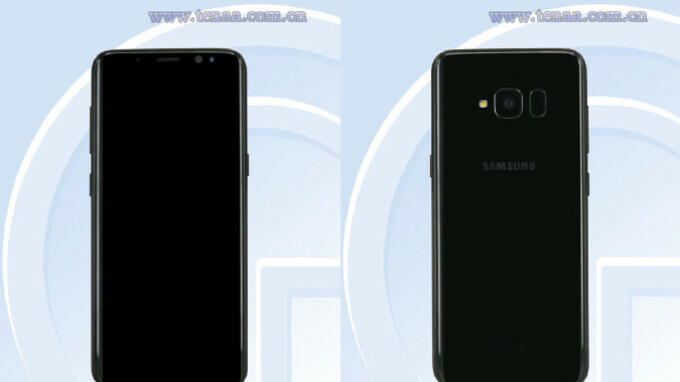 An apparent Samsung Galaxy S8 Lite has appeared in both an FCC and TENAA listing. Despite the existence of the flagship Galaxy S9 line and the premium Galaxy A8 line, Samsung appears to be working on a lower-cost variant of last year’s Galaxy S8, currently going by its model number SM-G8750. As can be seen from the TENAA images, the device is essentially identical to the company’s smaller 2017 flagship, down to the highly-criticized placement of the fingerprint scanner. This means a glass and aluminum build is present alongside an Infinity Display that is complete with curved edges. Also featured is the additional Bixby button. The only notable difference is the lack of a rear heart rate monitor. In regards to internal specs, the TENAA listing reveals a number of differences that hint at this being a more budget-friendly model. Starting off on the outside, the display size remains identical to the Galaxy S8’s at 5.8-inches, but the resolution tops out at just 2220 x 1080 pixels. In addition, on the rear of the smartphone, Samsung appears to have swapped out the 12-megapixel sensor for a lower-end 16-megapixel camera that is often present on the company’s Galaxy A-series smartphones. Moving on to the internal side of things, an octa-core processor clocked at either 2.2GHz or 1.9GHz is present, coinciding with Qualcomm’s Snapdragon 660. This is accompanied by 4GB of RAM and 64GB of internal storage, while a 3,000mAh battery keeps the lights on. When it comes to the FCC listing, no specific details surrounding the device are mentioned aside from its model number. However, the fact that it has already been certified suggests that Samsung’s apparent Galaxy S8 Lite will be announced in the near future and will not be yet another China-exclusive. Instead, the smartphone is expected to form part of Samsung’s new strategy to recycle older flagship devices in a bid to cater to those on a tighter budget. What? The Snapdragon 660 isn't better than the Exynos 8890 or Snapdragon 835, imo. SoT= Screen on time. But they just had to ruin the camera. That's the only real issue. However if prices right it could be a winner. If it's too high just get a discounted s8 or a refurb. Just get last year's flagship and we can call it a day. When you actually have A series phones and then you make lite version of flagship phones. Why Samsung just why? Just make those A series better in terms of pricing and hardware instead of making such lite version just to capture market. And please make less device & give them proper update support(atleast in time). What's the point of this device? The S8 currently is so affordable right now that the S9 is out and the Note 9 will soon be released. The S8 gives you more for the money you are paying instead of going with S8 Lite and getting mid-range specs.